Pinterest became famous for its unique pinboard design. 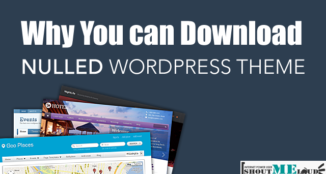 And with a Pinterest-style WordPress theme, you can easily bring that same design style to your WordPress website. 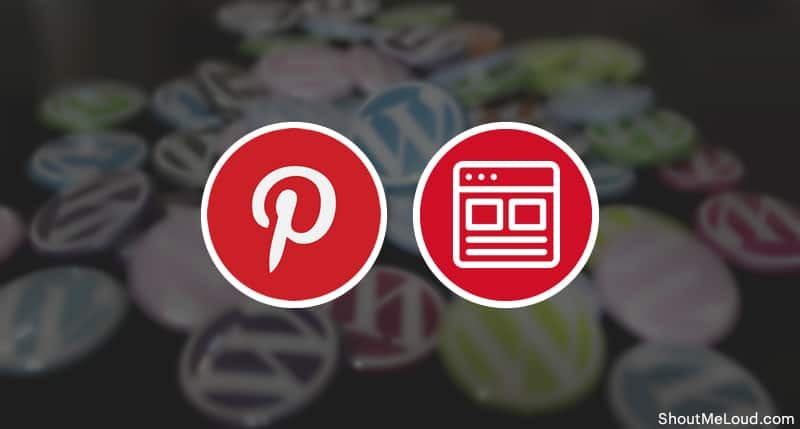 As you’d expect, given Pinterest’s visual focus, a Pinterest-style WordPress theme is an excellent option for any site with lots of beautiful visual content. But you can get creative and use it for other types of sites as well! To help you find such themes for your site, I’ve collected 11 of the best Pinterest-style WordPress themes for your viewing pleasure. 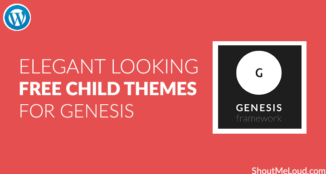 Many of these themes are only available as a premium purchase (learn the benefits of buying premium themes), but I did also find an excellent free option that I’ve included. For each theme, I’ll also share a little bit about what makes the theme unique beyond its Pinterest-style design. 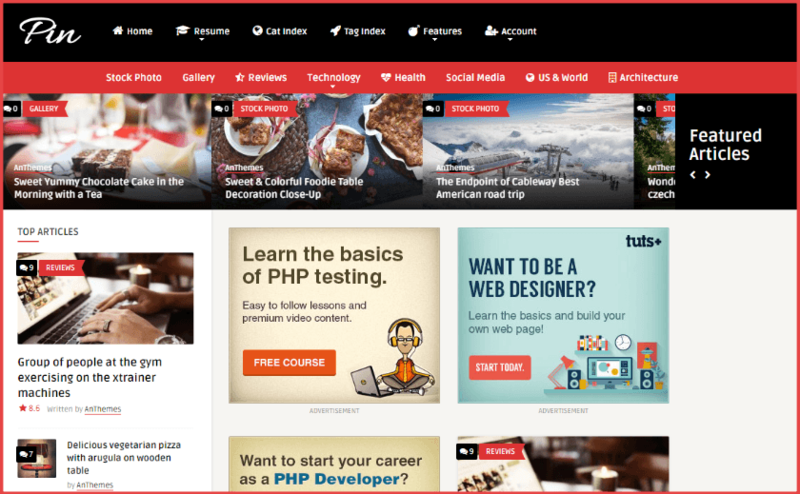 MagPlus is a blog and magazine theme that comes with 40+ demos. Some of those demos look like a regular WordPress site. But if you choose the included PinPro demo, you’ll get the beautiful Pinterest-style look that you can see above. 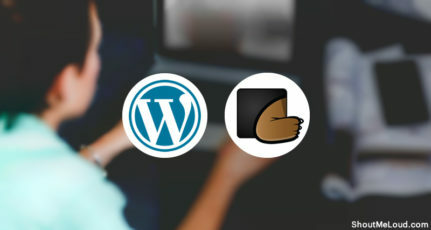 In addition to the Pinterest-style demo, MagPlus also comes with its own set of unique elements that you can insert anywhere on your site. Using these elements, you can essentially create your template that goes beyond the 40+ included options. To round things out, MagPlus also has an excellent rating on ThemeForest, with a 4.92-star rating on ~1,500 sales. 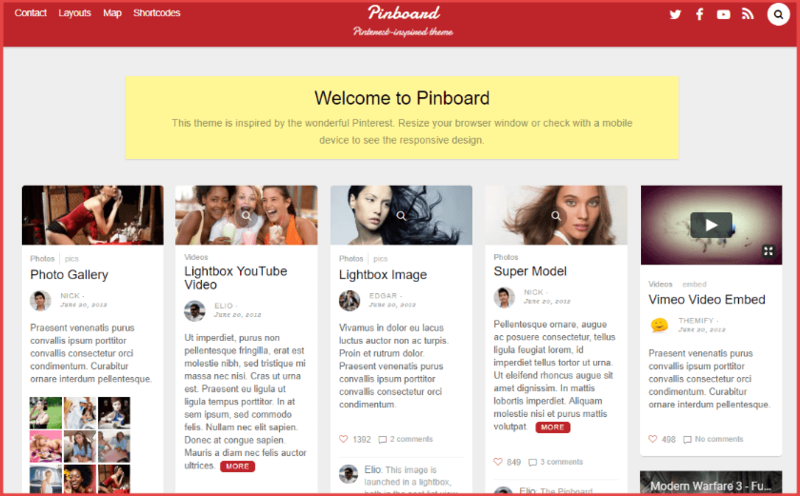 Pinboard is a premium Pinterest-style theme from Themify. Just like Pinterest, it has a great responsive grid design. So no matter what device your visitors are using, they’re going to get the same great Pinterest experience. And it also includes infinite scroll so that new posts automatically load when a user reaches the bottom of the page (again, just like Pinterest). Pinboard supports different multimedia types, like galleries, images, and videos. If you want to change the number of posts on display at a time, Pinboard lets you customize how the grid works. And you can also see recent comments right on the pinboard items, which is a unique effect. 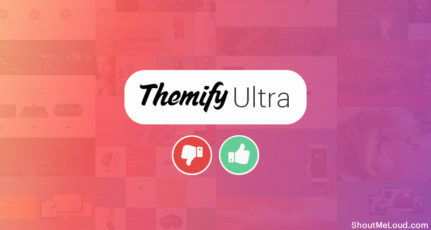 Finally, like all of Themify’s themes, Pinboard includes the Themify Page Builder for easy drag-and-drop customization. 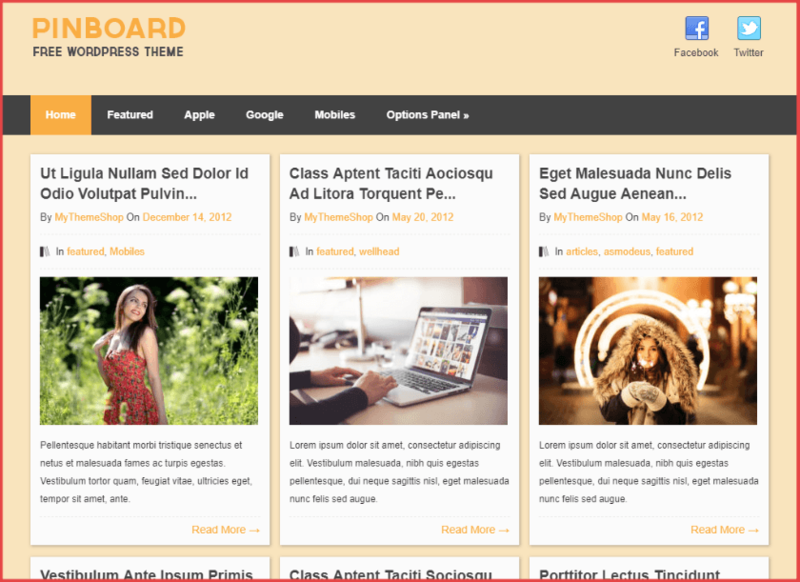 Pinboard (yes, it has the same name as the theme above) is a free Pinterest-style WordPress theme from MyThemeShop, a quality developer. 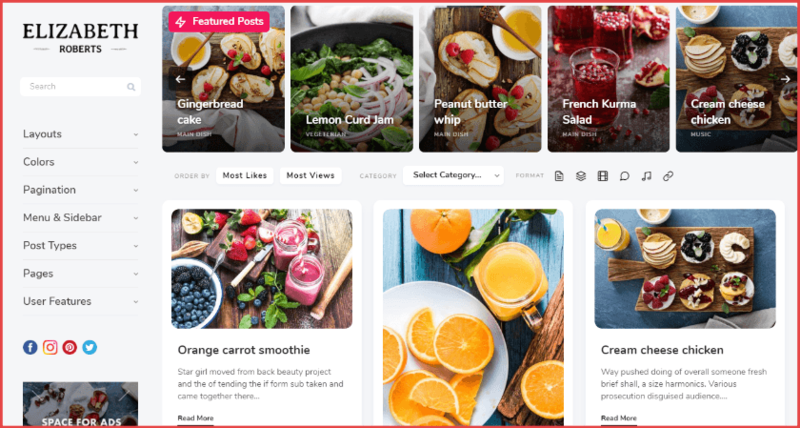 It has a grid layout that mimics Pinterest’s design, and it also includes custom widgets from MyThemeShop to help you display your content and social networks. If you want to change how your site looks, Pinboard supports unlimited color schemes and backgrounds. And the detailed theme options panel also makes it easy to change other aspects of your website, like fonts and typography. 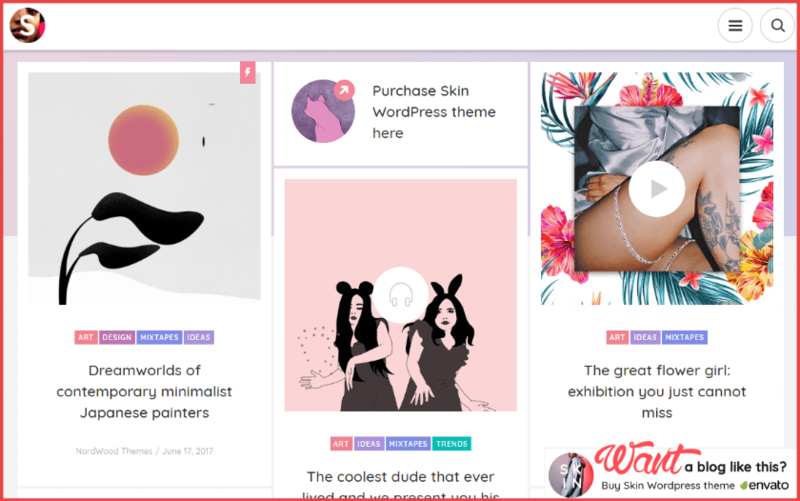 If you specifically want a free Pinterest-style theme, this is one of the best options you will find. 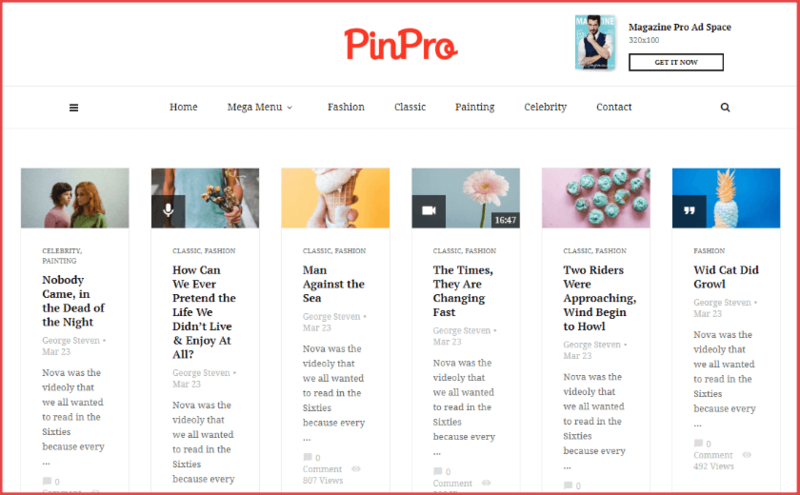 Pinfinity is a minimal Pinterest-style theme from CSSIgniter. It features a sidebar on the left where you can add your own widgets, and a center navigation at the top to help your visitors browse around. To mimic Pinterest’s functionality, Pinfinity includes infinite scrolling, so that more content automatically loads as a visitor scrolls down. Your visitors can also “love” your posts with the “Love it button”. Pinfinity will actually keep a count of how many people have “loved” a post and show it on the homepage (you can see this in the screenshot above). Finally, Pinfinity also includes different post formats to help you display different content types – like a video or gallery. Pluto is a beautiful Pinterest-style theme from Osetin at ThemeForest. Like Pinfinity, your visitors can actually “heart” your posts. And visitors can also use sort options to order posts by the most views or the most likes. Pre-built ad spots to help you easily insert banner ads. Multiple sidebar and menu positions. A detailed theme options panel. Distraction-free reading mode for your visitors. A QR code generator to let users switch between mobile and desktop reading. User profile functionality to create a lightweight social network where users can add their own content and follow one another. If you want to see Pluto in action, the developers will let you set up your own demo site just by entering your email. 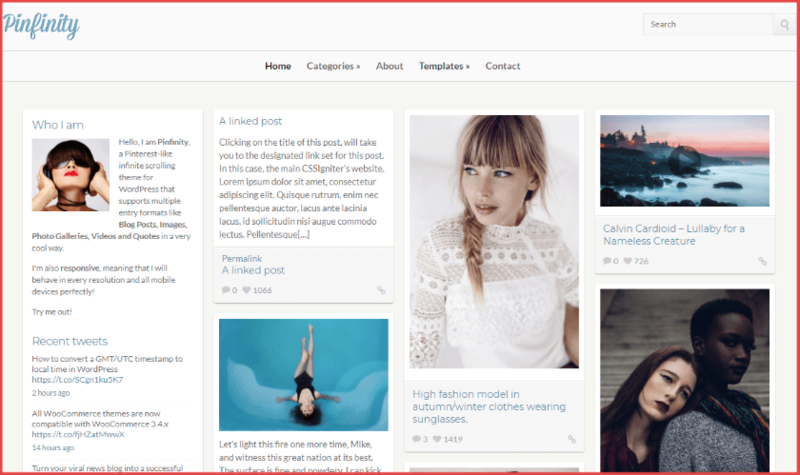 Fashionista is a minimal Pinterest-style WordPress theme from WPExplorer. As the name suggests, it’s focused on the fashion niche. But its Pinterest-style looks mean you can easily adapt it to other content, as well. 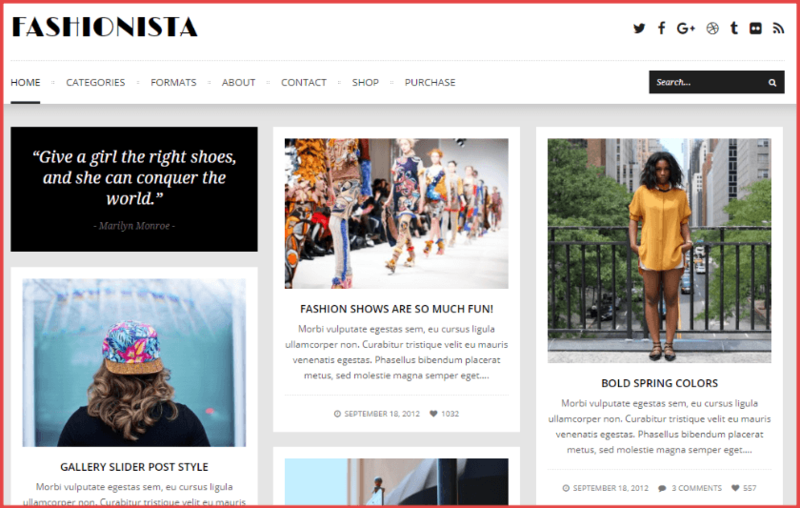 Like a couple of the other themes, Fashionista includes built-in functionality to let your visitors “heart” individual posts, as well as an option to enable infinite scroll or an AJAX load more button. You also have a good amount of control over the layout, with various sidebar options, custom site widths, sticky menus, and more. The creatively named Pin theme offers a content-packed Pinterest-style layout, including a slider for featured articles. One of the unique things about this theme is the option to let users create, edit, or delete their posts. So if you want to create a user-generated content site, this theme includes that functionality built-in. And it also comes with 13 custom widgets to help you display content in your sidebar. SKIN offers a Pinterest-style grid with beautiful gradient backgrounds and animation effects. It’s more creative than your average Pinterest-style theme, and the result is a lovely theme. SKIN isn’t just good lucks, though. It also comes with lots of social features – including built-in social follow icons, a social links drop-down, and Tweet & Share text selection (like Medium). Integrated Google AdSense support helps you earn money, as well as built-in popups to help you promote other offers. Finally, if you use affiliate marketing, SKIN has this neat feature that lets you send people straight to an affiliate product when they click on a post, which makes it a good option for curating affiliate products. 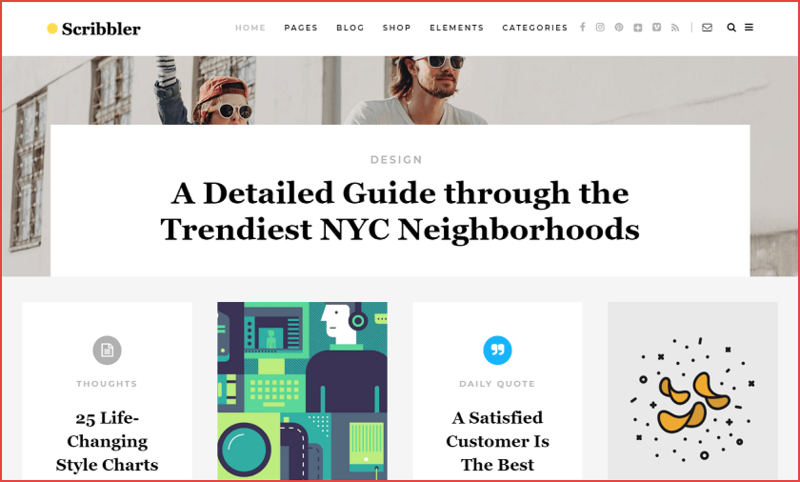 Coney offers minimalist Pinterest styling that puts the focus on your multimedia content. It includes a number of different demos, including some with traditional styling. But if you import the Pinterest Home demo, you get a great-looking Pinterest layout right away. 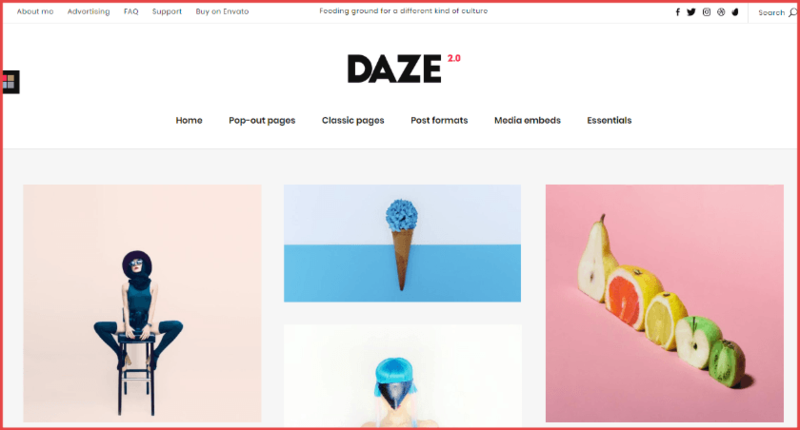 From the same developer as the SKIN theme above, DAZE is another GIF-friendly Pinterest theme with a creative look, though the design is a bit more minimalist than SKIN. 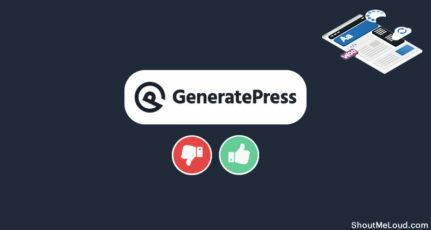 And like many of the other Pinterest-style themes, it also lets you choose between standard pagination, infinite scroll, or AJAX load more. Scribbler is a beautiful minimal Pinterest-inspired theme from Select Themes. In total, it offers nine different layouts, but you’ll probably want the Pinterest Home option if you’re specifically looking for Pinterest styling (that’s what I took a screenshot of above). Your individual blog posts have a modular design which lets you mix-and-match different elements to create 100% custom blog layouts. And you also get support for custom post formats, as well as built-in related posts functionality. If you want to bring in social content, Scribbler includes built-in Twitter and Instagram feed support. And you can also choose between various pagination options, including infinite scroll and load more. Finally, Scribbler includes lots of built-in shortcodes to help you create pricing tables, video buttons, testimonials, and more. 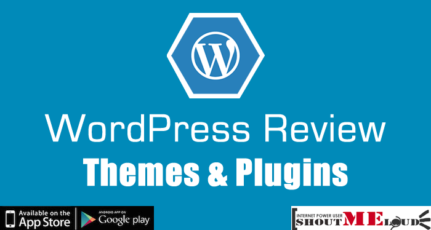 As you can see, most of the best Pinterest-style WordPress themes are premium purchases. But I did manage to find one good free option that you can use if your budget is limited. I hope you found this list useful. If you know of other themes that offer Pinterest-styling, do leave a comment so we can see it! WOW,I must say all themes are looking very professional and awesome. Almost all themes are great in this collection but Pin theme on number 7 has a very unique and stylish look. Actually, I own a niche website in fashion and beauty products. Most of my traffic comes from Pinterest, So I’m thinking about giving it a new shape with a unique theme like Pin. 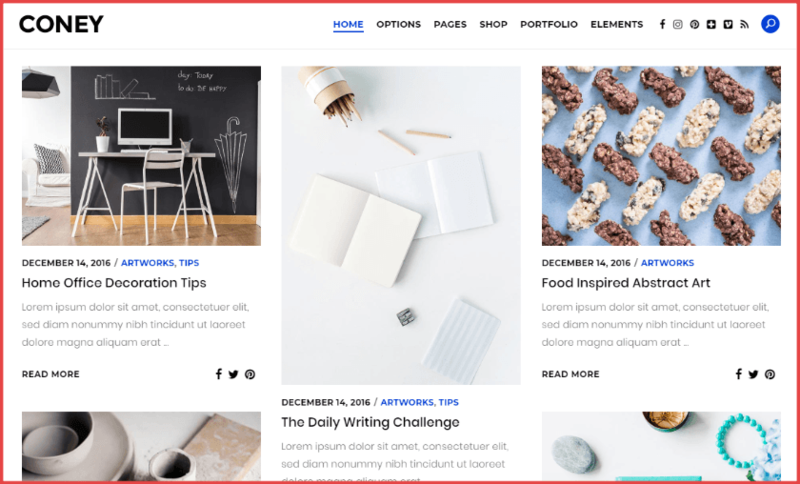 Thanks for sharing an awesome collection of beautiful WordPress themes, keep it up.